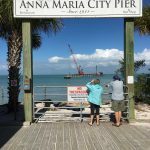 Work installing walkway pilings for the new Anna Maria City Pier continues. 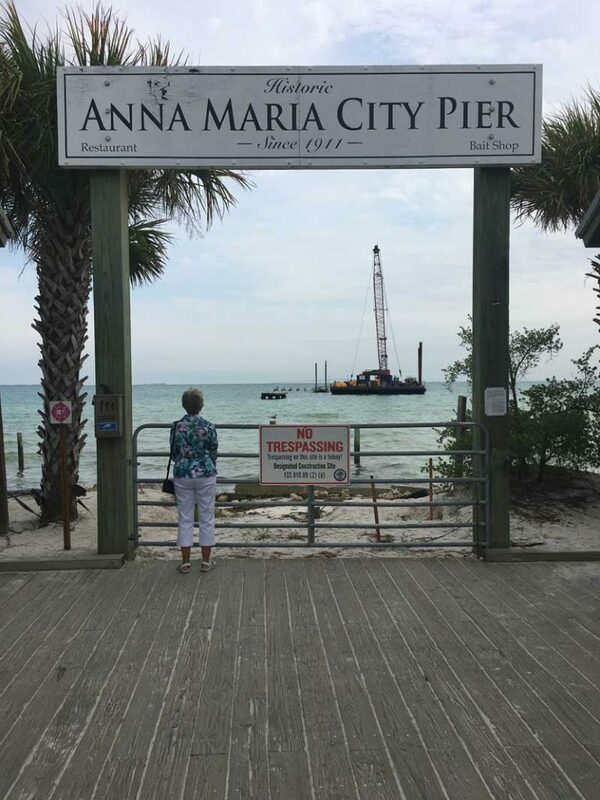 Anna Maria Mayor Dan Murphy, at a city commission meeting March 14, said i+iconSOUTHEAST workers were driving 15 walkway pilings near the T-end the same day. 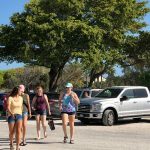 The section is planned to serve as a landing area for small watercraft and is beefed up to include three pilings per row, while the remainder of the walkway will have two pilings per row. Murphy said pile-driving for the boat landing would wrap up March 25, when Icon will start driving 126 walkway pilings near the shore side, moving east. 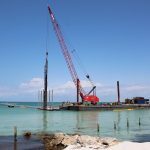 The 141 walkway pilings make up almost three quarters of the 201 pilings planned for the 776-foot pier, and should be driven and leveled by April 26, according to the mayor. He said Icon would use a second barge to deliver pilings to the construction site to avoid interrupting work. Next on deck, after the pile-driving, Icon will place the concrete deck on the T-end and install wood bents to support the walkway. Murphy said materials would again be brought by a barge to the site. He said the city purchase of decking materials will save $30,000 in taxes that would have been charged if Icon made the purchase. Murphy said he would have the purchase order for the ipe wood, as well as any potential change orders on the construction, ready for commission consideration by March 18. City commissioners will vote during an emergency meeting at 10:30 a.m. Thursday, March 21. 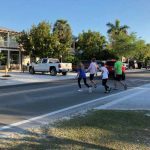 The city’s contract with Icon requires the contractor to complete the walkway and T-end by Aug. 26 or pay a $975 penalty for every workday after the deadline. Murphy also said he scheduled a meeting with pier tenant Mario Schoenfelder for April 10 to update him on the project. 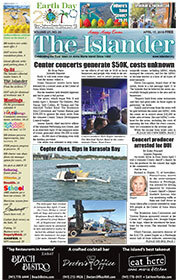 The city has yet to discuss a request for proposals to construct the restaurant and bait shop at the T-end. Hey! the boat landing would wrap up March 25, when Icon will start driving 126 walkway pilings near the shore side, moving east. When will pier re open to walk along. Will Restuarant/bait shop or whatever all have to be completed first of all? Brilliant to see the work progressing. My family visit from England as often as we can. I can’t think of a better way to end the day than being on one of the island’s piers, pt way the fishing tackle, wash my hands and settle down for a warm meal and a cold bud. I agree. We have been visiting the island for 35 years now, and that laid back atmosphere is what make it such a wonderful place. Keep it simple, new and improved is not always best. Please don’t mess this up. Keep it simple with a bait shop that serves wine or a beer and a simple restaurant. Please don’t argue the rebuild to death like you do most things in the area. The Pier is the heart of AMI. I am a part time resident and miss going on the Pier and meeting locals as well as visitors from all over the world who come to watch a sunset or fish or listen to a little music.